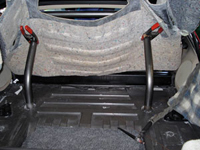 at the fit around the halo and carpet. 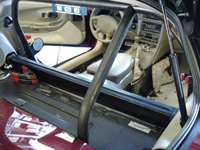 Over the course of several weeks we will be following the transfer of a 2008 C6 Corvette from street able car into a full race car. 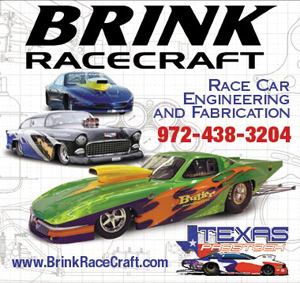 All the work will be done by Brink Racecraft out of Arlington, Texas This article would not be possible with the help of Mike Brink (BRC) and Gerald Bunce the owner of the car. 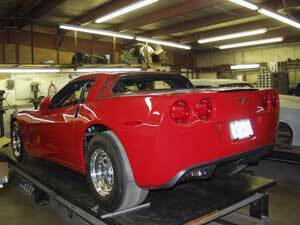 Below is the Corvette at the beginning of the build. The transformation will give you an idea of the amount of work and skill its takes to make a full out race car. Stay tuned as we keep you updated. 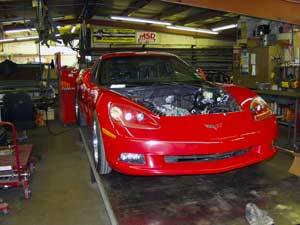 CORVETTE is a registered trademark of the General Motors Corporation & Chevrolet Motor Division. Neither Chevrolet Motor Division nor any subsidiaries of GM shall bear any responsibility for Fast-Corvette.com content, comments, or advertising. Fast-Corvette.com is independent from GM and is not affiliated with or sponsored or supported by GM. Copyright/trademark/sales mark infringements are not intended, or implied. All rights reserved.